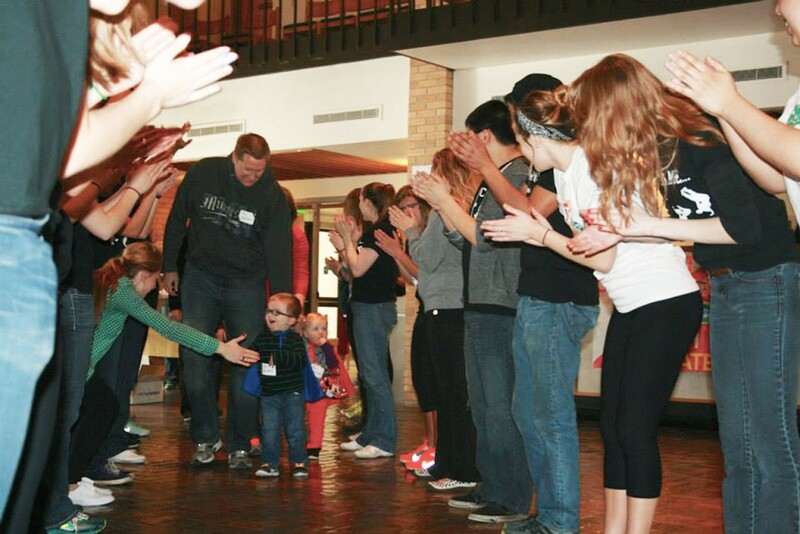 Dance Marathon participants welcome children into the Centrum. Photo submitted by Ellie Beeson. 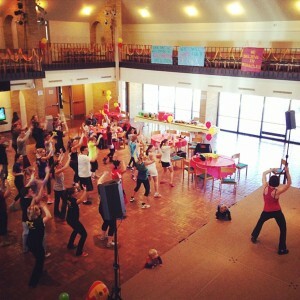 Attendees of Dance Marathon participate in the Zumba session during the event. Photos submitted by Ellie Beeson. Members of the Fargo-Moorhead community raised $12,218 during Dance Marathon on Saturday. The money raised will go to Sanford Children’s Hospital in Fargo, which is a member of the Children’s Miracle Network. The Children’s Miracle Network raises money for children’s hospitals across the United States. One of the benefits of being a Children’s Miracle Network hospital is that no child gets turned away because their parents cannot afford to pay for treatment. The event went from noon to midnight with a different theme each hour. There was no charge for each event, only a suggested donation of $2. During Dance Marathon, children from around the community were able to play games, dance and color. Kids and siblings who have utilized Sanford’s Children Hospital wore hand-made capes the whole day. “It’s just as important to recognize the siblings,” said Emily Anderson, co-chair of Dance Marathon. She added that one sick child takes a toll on the whole family. Between each hour, families spoke about how the Children’s Hospital helped them in their time of need. Throughout the event, Dance Marathon utilized #FTK (For The Kids) and #CobberTHON to organize a live twitter feed. The event generated more than 500 tweets. 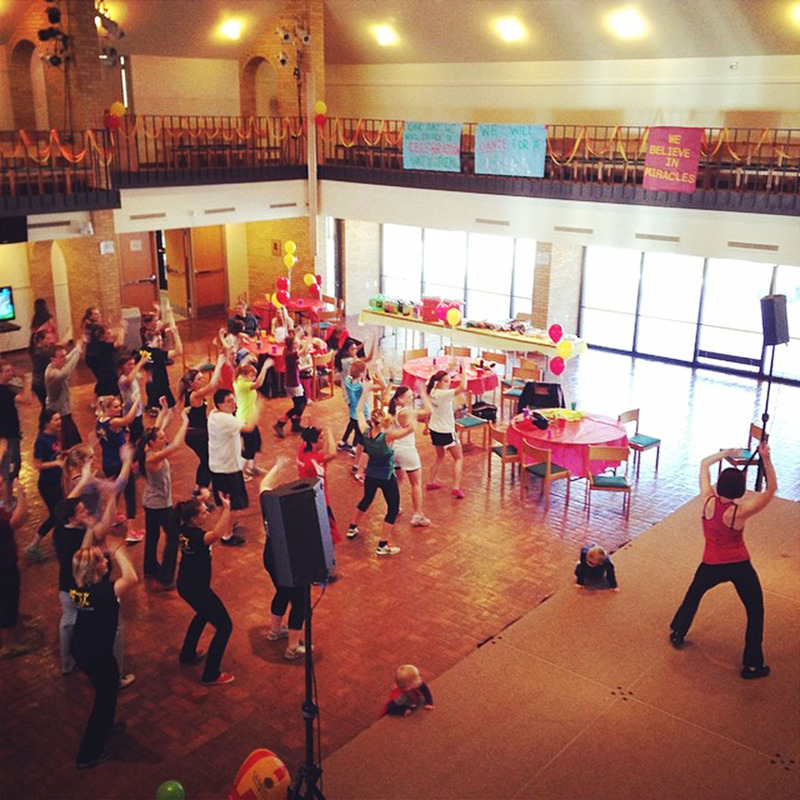 Two of the events – Zumba in the afternoon and Cobber Idol in the evening – filled the Centrum. During Cobber Idol, which featured Concordia students, contestants performed a song, and audience members got to select finalists by donating money to the performers they liked. Between Cobber Idol and the neon dance, Dance Marathon members took the time to thank the crowd and revealed how much money was raised for the Hospital. The Concordia organization is only four-years-old, but they have made a name for themselves raising more than $24,000 in the last two years. They would like to make Dance Marathon a tri-college event. North Dakota State University has a Dance Marathon chapter that has been off and on for a few years. Anderson said the groups could pool their resources to make one large event. The overwhelming take-away from the event seems to be the effect on the kids. Taylor Wrege, crew chair for Dance Marathon, said it is great to see the kids’ faces at the event. Anderson echoed the same feelings.